18th Street, Texas Tech University, Lubbock, Texas. 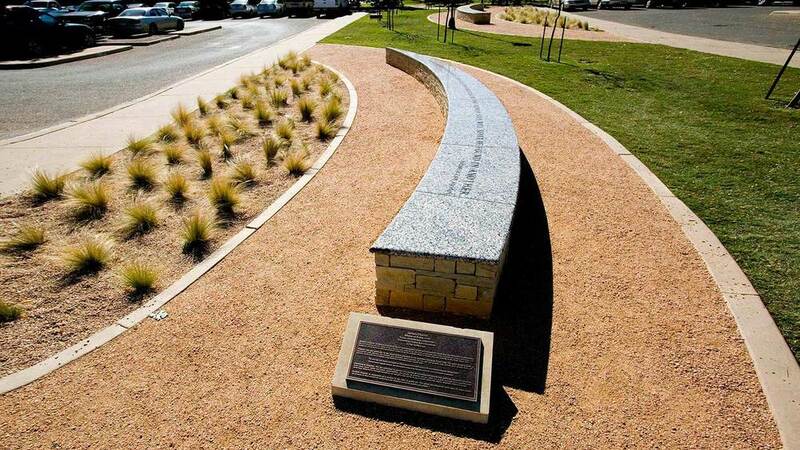 Texas Pearl Granite, Texas limestone, native grasses and trees. Originally a vacant lot, this 30 ft. x 200 ft. parcel of land in the middle of the Texas Tech University Campus has been transformed through art into a plaza where students can sit and relax during the day. Artist worked directly with Texas Tech Landscape Team to use native grasses and trees in the overall design of this central plaza. 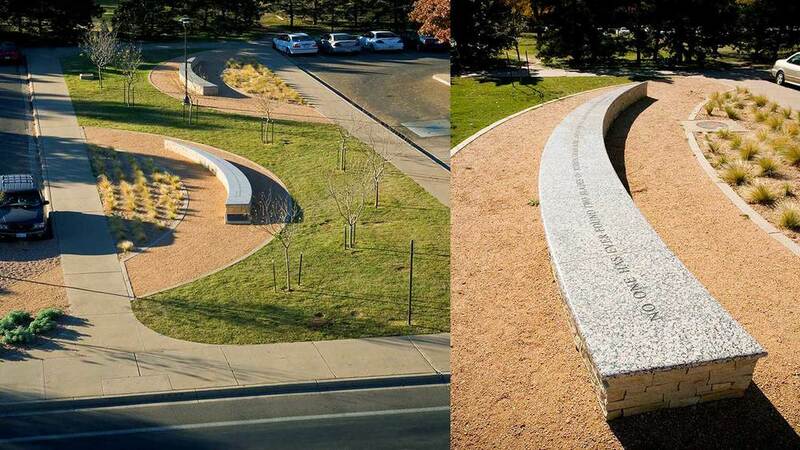 Quotes by Elizabeth Cady Stanton grace the benches which are shaped as blades of grass. Commissioned by Texas Tech University, Lubbock, Texas.